Thank you for participating in the 2018 Kids Helping Kids food drive! 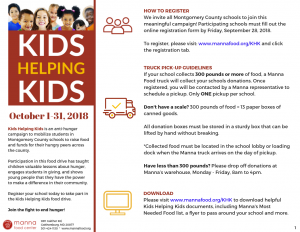 For 30 years, The Department of Education and the Maryland Food Bank have partnered with Maryland schools and local nonprofit organizations to manage the Kids Helping Kids (KHK) anti-hunger campaign. 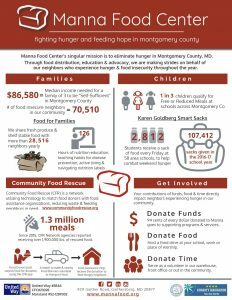 This year, The Department of Education and Maryland Food Bank will no longer manage this campaign. We need your help again! 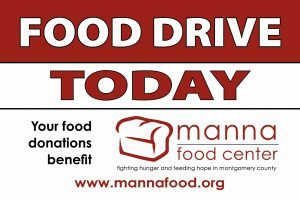 Please join Manna Food Center this year, as we continue this wonderful tradition of involving our local Montgomery County schools in the KHK food drive. 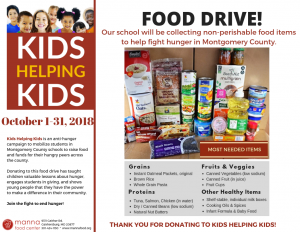 The Kids Helping Kids anti-hunger campaign mobilizes students in Montgomery County schools to raise food and funds for their hungry peers across the county. 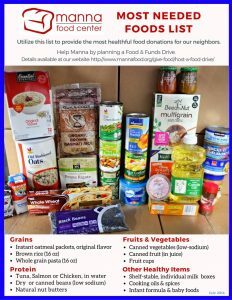 Participation in this food drive teaches children valuable lessons about hunger, engages them in giving, and shows them that they have the power to make a difference in their community. 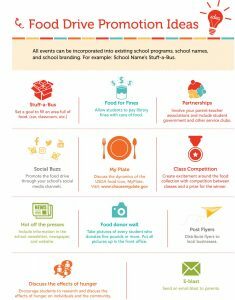 We hope that your school joins this county wide effort to fight hunger! 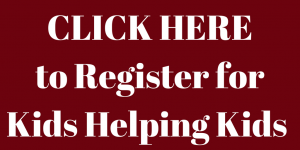 *For School use only: Please click here to register your school today!